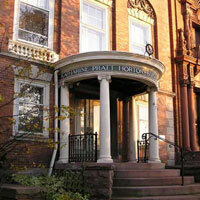 Acknowledgements: The Katharine Pratt Horton Chapter owns, operates, and maintains this as a chapter house and museum. It is open to the public by appointment. This property is funded through personal monetary donations by DAR members, supportive members of the community, in kind donations of time and talents, grants, and fundraisers.